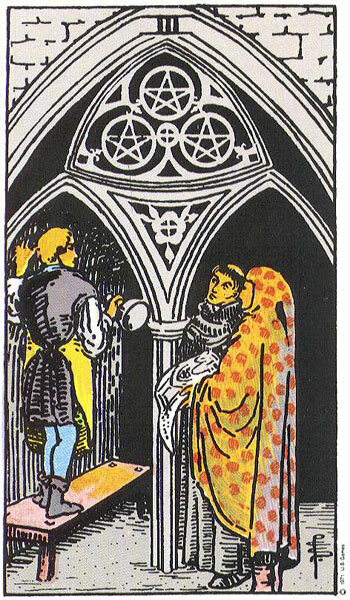 For this Reading to be of any benefit, it is essential that The Querant or the One doing the Enquiring be as Open and Accepting to whatever the Cards Reveal. Very often when starting out in a Relationship, or when a certain Stage has been reached, there may be some concern or confusion as to whether your Partner has the same outlook for the Relationship as you do. Do they envisage entering into a long-term commitment with you or have they other plans, plans that possibly do not include you? This Reading is also useful for when you are in two minds about entering a Relationship with a certain other, or when there is more than one Partner to choose from. 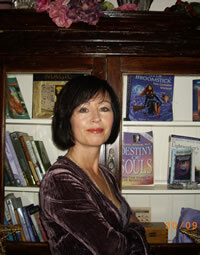 You must remember that nothing is ever 100% accurate in Tarot Reading and is also Subject to Interpretation. If you have a certain mind-set towards your Relationship, or decide to indulge in wishful thinking or idealising about your Relationship, or the Potential of a New One, then you may very well get Cards that will fall nicely in line with your way of thinking. They may be nice and romantic, fulfilling your exact desires, but they may not be based on reality. Therefore try your best to let go of any preconceptions or notions and throw it out to the Universe. This Reading can reveal confusion in a Relationship between Partners or a lack of proper Communication. Therefore it may highlight areas that need to be brought out into the open. If your Reading shows that you see Wedding Bells in your Future and your Partner’s reveals a sense of entrapment or restlessness, then it would be wise to sit down and discuss honestly what both of you are expecting out of the Relationship. Sometimes just talking the issues over can smooth out any areas where there is doubt or concern. If you think your Partner is showing interest in an other, and their Cards reveal total devotion and commitment to you, then you may just be paranoid and certainly this will not have a beneficial effect on the time you spend with each other. Do not get overly concerned with what comes up in the Reading as you are bound to be anxious when asking such questions about your Partner and your Relationship. I had a client very recently who had one of those enviable problems. She had three guys interested in her and she wanted to see which out of the three might be the most suitable to go for. She was looking for a Steady, Stable Relationship, and not just a fling or short-lived affair, so she didn’t want to waste her time on a guy who would not be around for long. We did three separate Readings for each Guy after picking a Significator for Each. We took note of the Significator and then put the Cards back in The Deck. For Each Reading we Cleared the Deck of The Previous Reading Energy and also made sure that any Reversed Cards had been Uprighted. We then Shuffled and Reversed a Few while asking the following Question. First Shuffle and Selection of Cards is for Yourself/Querant – The Potential of a Loving Relationship From Querant’s Point of View. Draw Five Cards and Place them Face Down in Front of You. Cleanse and Upright The Cards Once More before Shuffling (Remember to Reverse a Few) while asking the same Question but now – The Potential of a Loving Relationship from Your Partner’s Point of View. Make sure to name the Person in full for extra clarity as Partner could also refer to a business partner. Also be very clear in your intention that the Relationship is one of Love and Romance. Draw Five Cards and Place them Face Down in Front of You. If you do not wish to exclude any Cards from the Second Set of Five, then you can use Two Decks, one for The Querant and one For the Partner. When you are ready turn over the First Five Cards and Read these before turning over the Second Line of Five Cards. If you turn them all over at the same time, it will be very hard to stay focussed. When both Lines have been analysed and compared, it should hopefully map out the Relationship from both points of view. You may discover that you are lovingly singing from the Same Hymn Sheet, are Completely Out of Tune or just have to do a little Practice before you can both sing in Harmony. Extra Cards can be drawn for clarification. Q. I used to go out with Johnny years ago when we were in High School,but he then went to college overseas. We did write for some time but it eventually ceased. To be honest I hadn’t thought about him in ages but last week I bumped into him on the street. He looks great and we hugged and everything. He asked me to join him for a drink this week. Since I met him I just can’t stop thinking about him and am panicking about what I should wear when I see him next. I wonder how he feels about me after all this time? 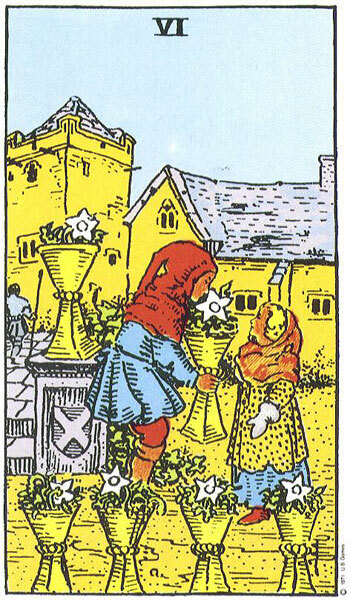 Have a look at The Reading Above and see if you can work out whether this Relationship has any Future Potential or Not. Firstly I would like to say how much I love your website… It is a Priceless resource! I recently did a relationship spread on someone that I have been having a casual relationship with over the last year… It has been very complicated but I feel it’s worth working on. 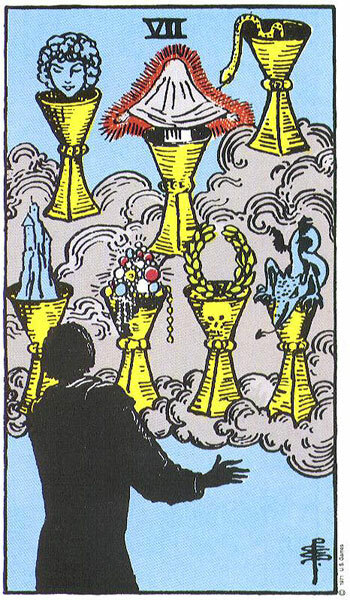 When pulling the querants View I got, starting from card number one, the emperor, judgement, 4 Pentacles, Queen of Wands and then Knight of Wands in the final position. 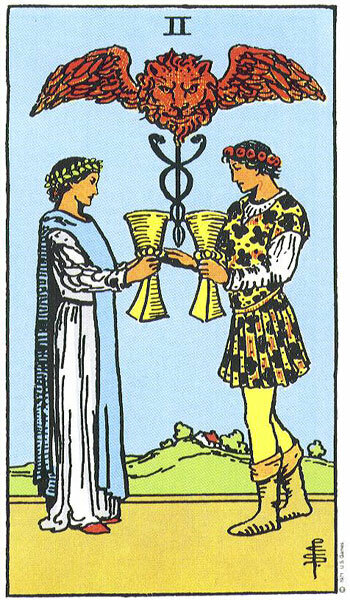 In the subjects view of the relationship first card was nine of Wands, king of cups, 10 of Cups, Three of Wands, and then the chariot. Any thoughts? The man I’m interested in is a complicated character with a lot of baggage, but then again, I have a lot of baggage as well. Can you send me your thoughts on the reading, your own interpretation and I will see what I can pull out of it. 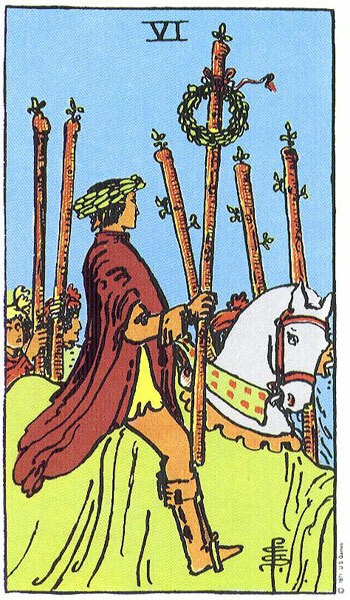 Overall, with the Knight of Wand in your final position and both the three of wands and chariot in his, there is an air of transience about it. 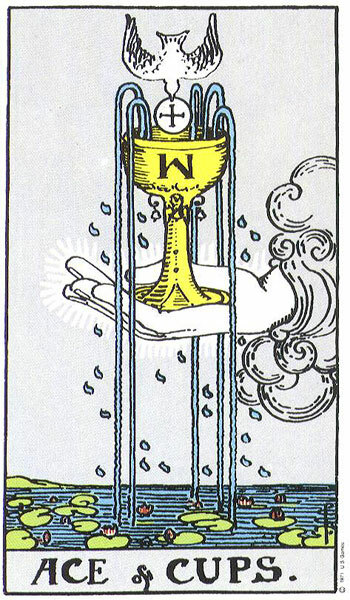 I think it is likely quite intense right now, and the King of Cups is certainly enjoying the relationship he has with you, and all the nice times, the three of wands could imply moving on after a while. He may not wish to get fully tied down right now and prefers to keep moving. 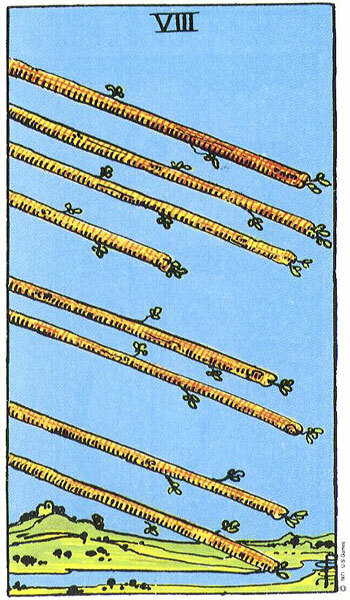 However, the three of wands could suggest he sees a future ahead for the two of you and is making plans in that direction. He might be determined to leave his complicated past and baggage behind and move forward in the Chariot. 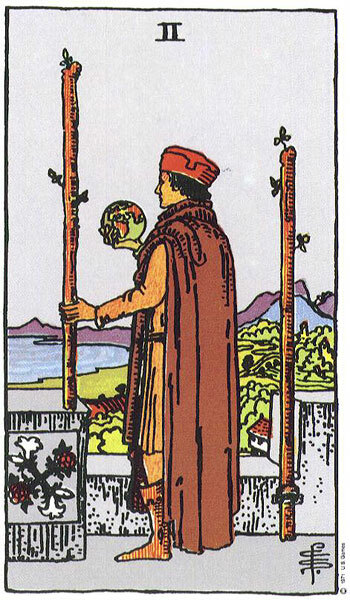 The Nine of Wands as his first card highlights the complicated character and his baggage which could be quite significant. 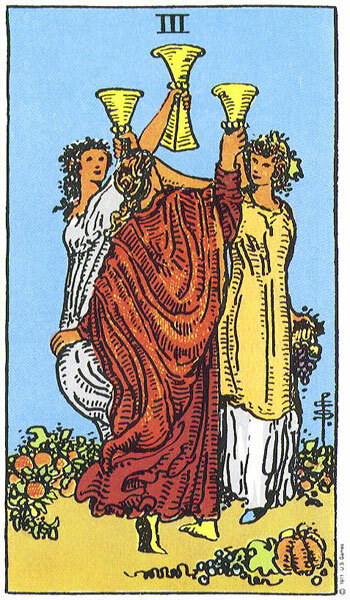 You on the other hand appear to be holding back in the four of pentacles until you have made a clear and very definite decision in Judgement. You are weighing up the pros and cons of pursuing this relationship further. The Emperor also stands for keeping control of your life and I feel this person may have entered it when you were feeling quite stable and balanced, had your life under control. You like order. There may be a work involvement, or someone in a superior position to you. 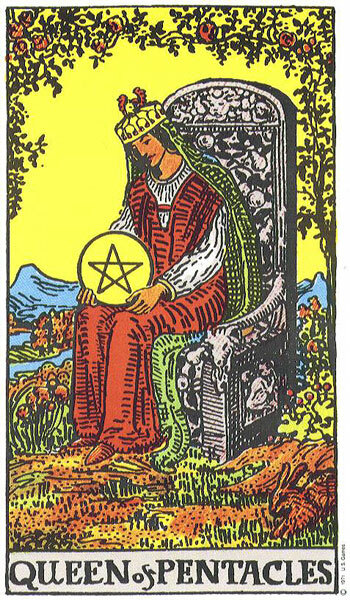 After the restraint demonstrated in the four of pentacles, The Queen of Wands may become more forward and direct, making it clear she is keen on the relationship developing further. The Knight either rides towards the Queen or away in response. There is a sense of you being the most powerful of the two. These cards can mean anything of course and it is not possible to do blind readings without losing focus and direction. Some background information and your personal thoughts on the reading are important. I would like to know, if this man has a history of commitment issues as this will determine how the Three of Wands, knight of wands and chariot play out. Also you mention you feel the relationship is worth working on. How much effort comes from you, and how much from him. 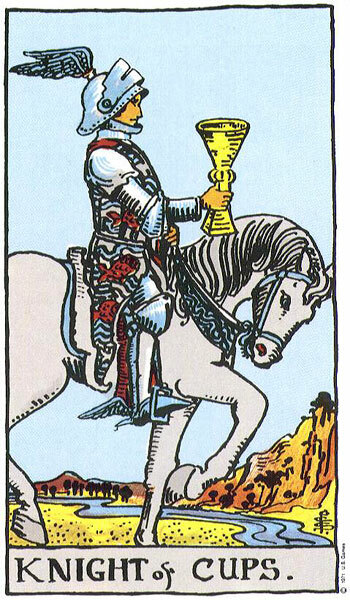 Is the King of Cups being looked after and taken well care of in the Ten of Cups or is it him doing this for you? 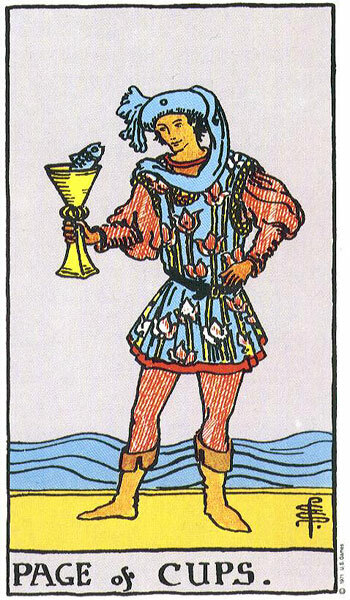 The King of Cups could be ideally looking to meet someone special, someone he could make a life with (ten of cups). 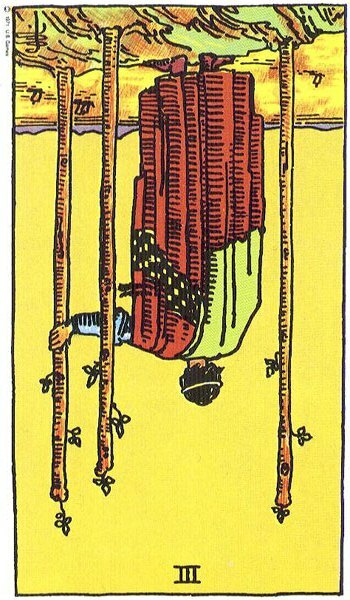 If so, he will want to pursue the three of wands and move forward with you into that new life, but it can also suggest him moving on. 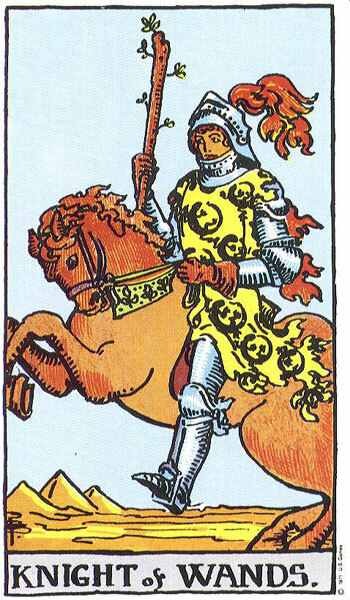 The chariot is a quite a strong card and might imply there would be issues or challenges to overcome should he decide to commit to a relationship with you. These challenges may be his baggage and complicated character. 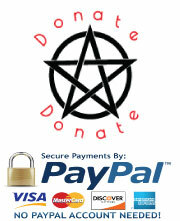 If it is what you both want, then the chariot and three of wands will not let much stand in their way.